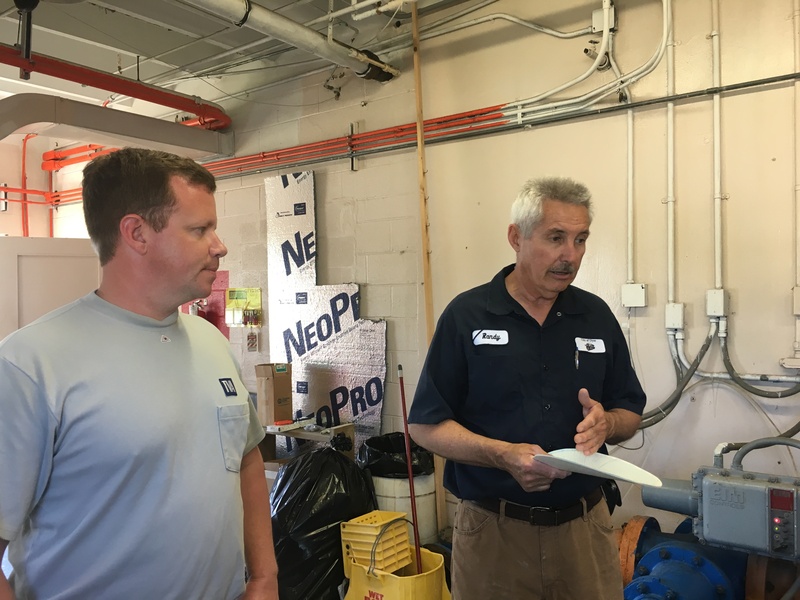 Specialists from the Tennessee Valley Authority in cooperation with Gibson Electric Membership Corporation visited Dyer on April 26 to assist with an energy audit focused on energy consumption at Water and Wastewater Facilities. Water Superintendent Randy Gregory reviews plant operations with TVA Specialist Tony Yanessa. Dyer City Recorder Nathan Reed said, “The Department of Environment and Conservation estimates water and wastewater plants account for 30-40% of municipal energy costs. 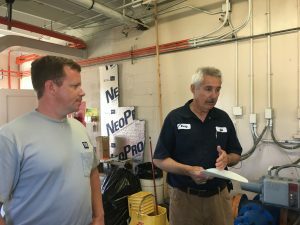 Our own analysis certainly found that to be true – water and wastewater facilities average about 45% of our total energy costs in Dyer.” Reed contacted Gibson Electric Membership for help in developing strategies to possibly reduce energy costs. 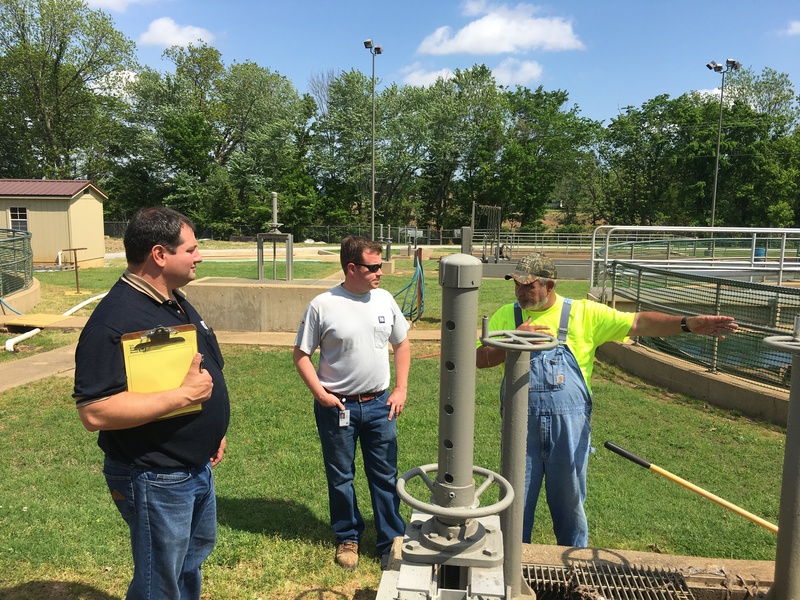 Representatives from the Tennessee Valley Authority met with Water Superintendent Randy Gregory and Wastewater Superintendent William Caton and toured the water and wastewater plants. TVA will complete an analysis, but they provided several suggestions and ideas immediately, including replacement of inefficient lighting fixtures, and possibly adjusting run-times on pumps to avoid demand charges. Wastewater Superintendent William Caton discusses plant operations with TVA Specialists.